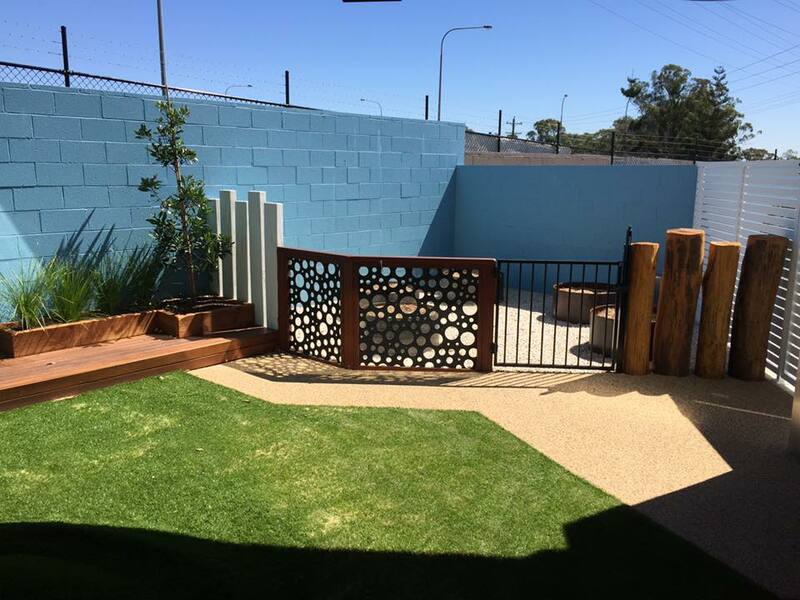 SIGN UP FOR OUR WAITING LIST TODAY! 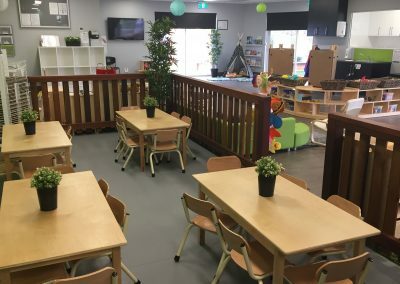 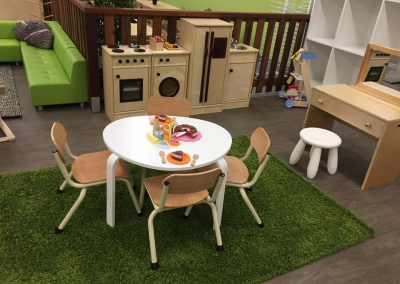 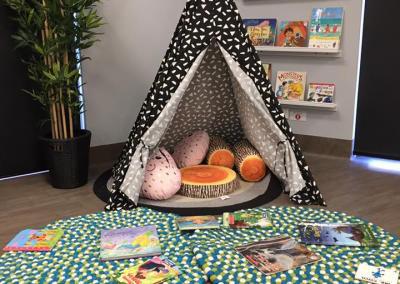 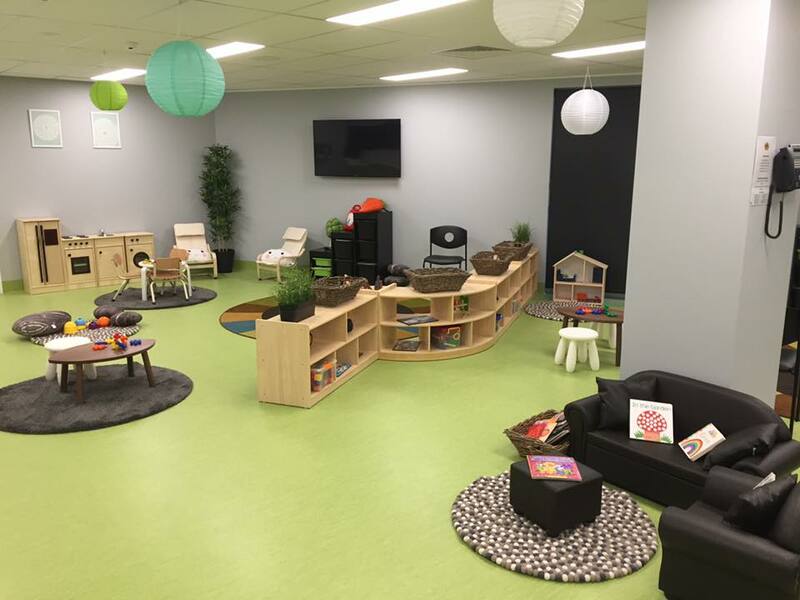 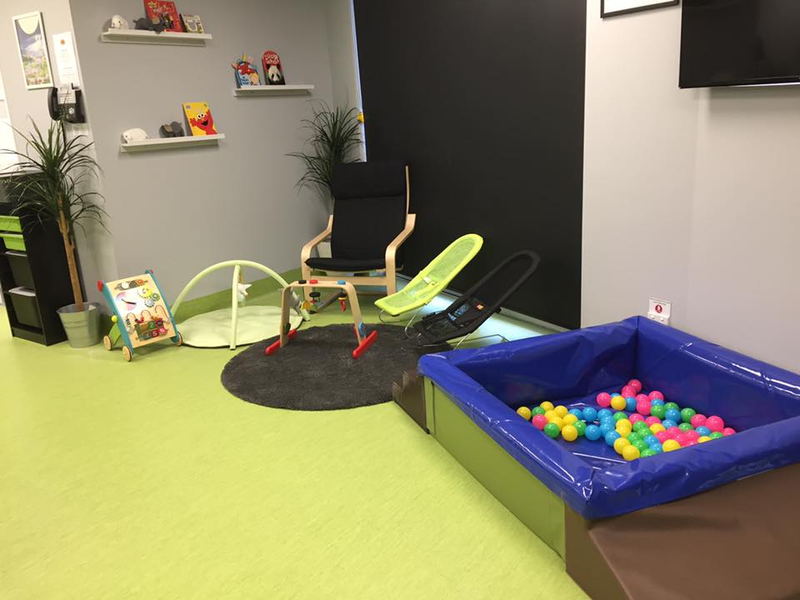 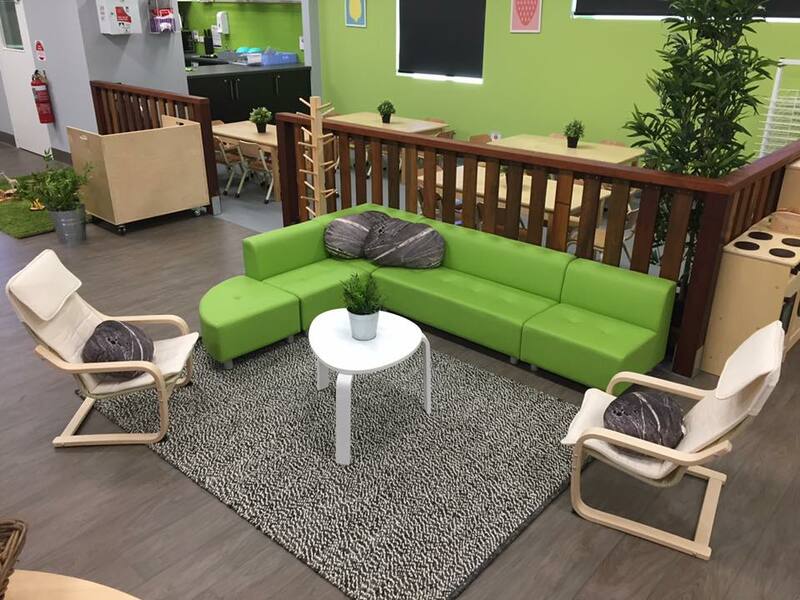 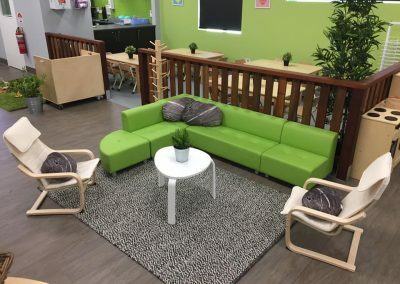 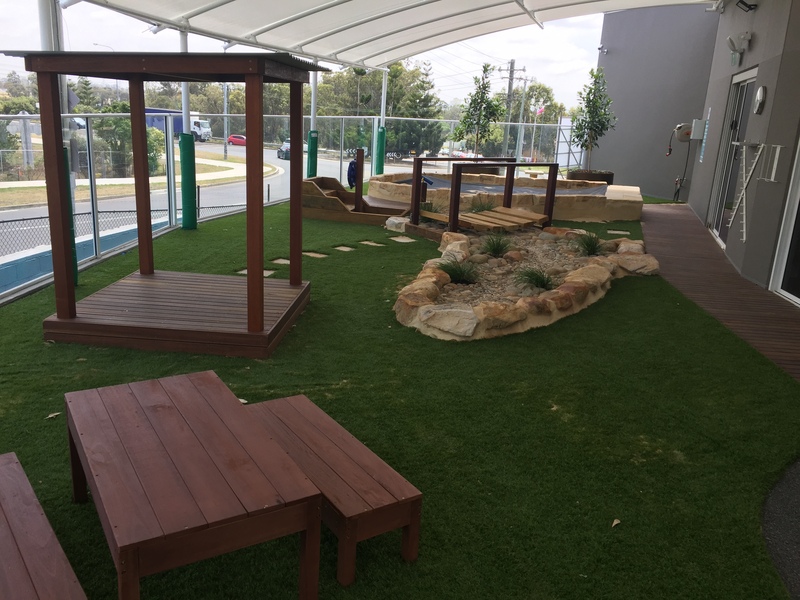 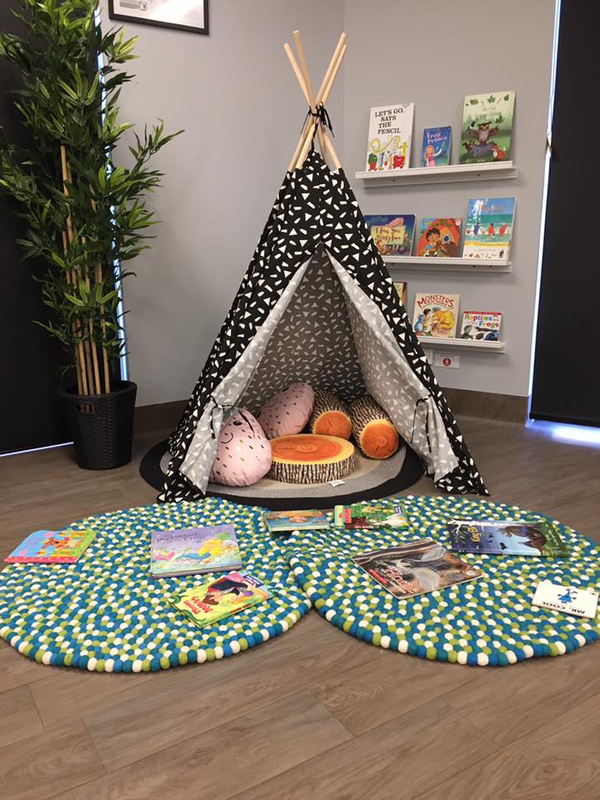 Our newly opened Pemulwuy preschool, long day care centre and childcare combined near Wetherill Park, Blacktown and Greystanes suburbs caters for children aged 6 weeks to 6 years old, and is divided into four age groups. 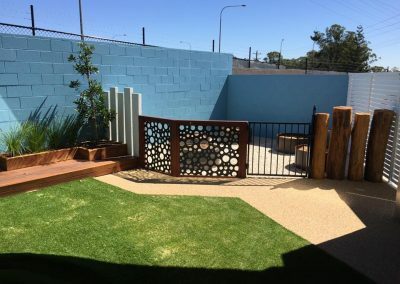 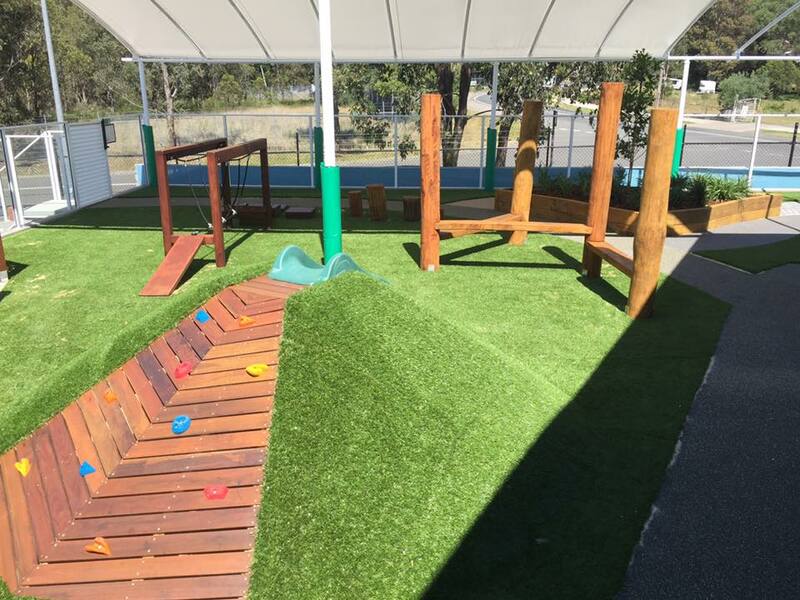 Three playgrounds can be found in the outdoor areas of our Pemulwuy child care centre and preschool near Greystanes. 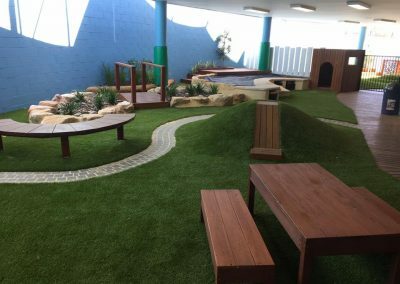 Baby Berries and Raspberries each have their own separate playground downstairs while Blueberries and Strawberries share a large space upstairs. 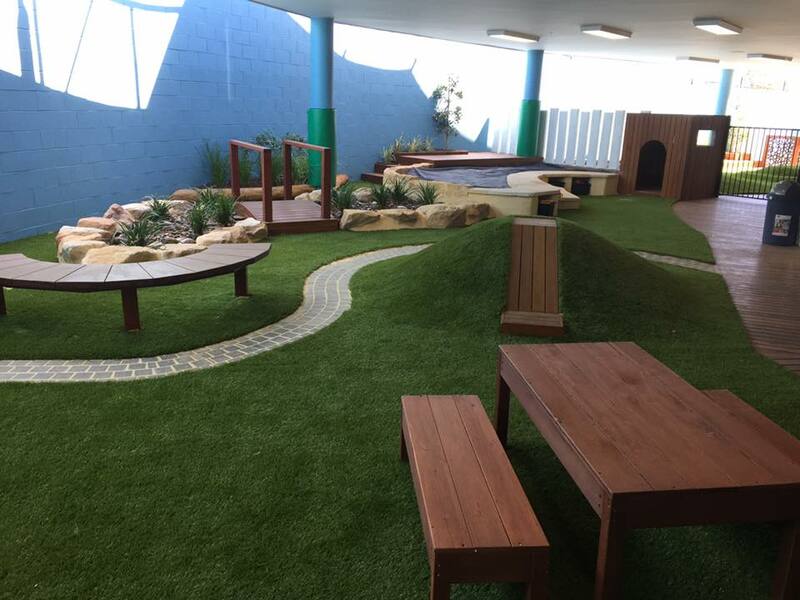 The outdoor environments are very natural and earthy, with real plants, trees and gardens. 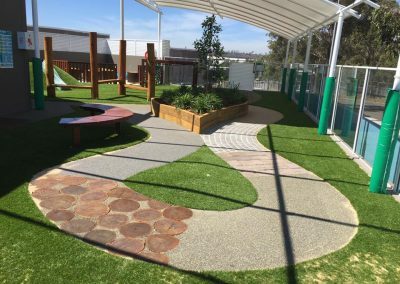 They also exhibit different textures—soft fall, artificial grass, timber decking, pebble pathing and beautiful sandstone sandpits. 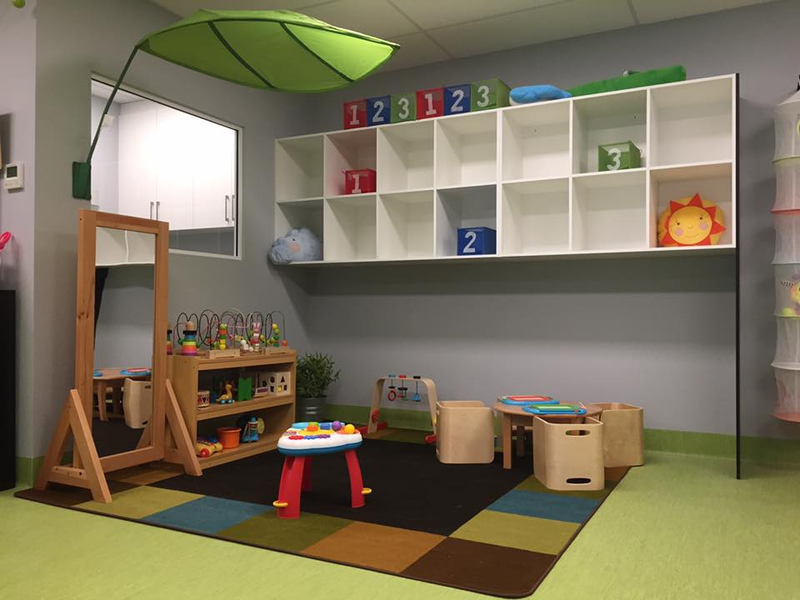 Vibrant and spacious, they provide kids with lots of different areas to explore. Children are free to play outside all year round, thanks to the waterproof shade sails. 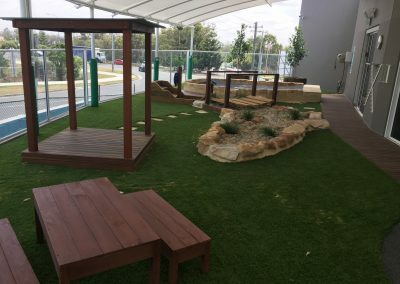 All outdoor areas have age-appropriate climbing structures and grass mounds as well as foot paths for children who want to ride their bikes. Other fixtures include slippery dips, obstacle courses, stepping stones, dry creek beds, wooden bridges, cubby houses, boat structures and timber deck stages. We also have a speaker system that plays music so youngsters can move and groove as they play. If you are looking for a childcare centre and living in Wetherill Park, Blacktown, Greystanes and nearby suburbs, visit our Pemulwuy preschool and long day care centre today. 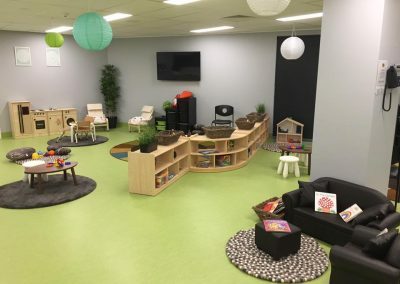 If you’d like to get more information about our centre or would like to schedule a tour, please contact us.